MARCY HEISLER (Author/Lyricist) and ZINA GOLDRICH (Composer) have been collaborating together since 1993. 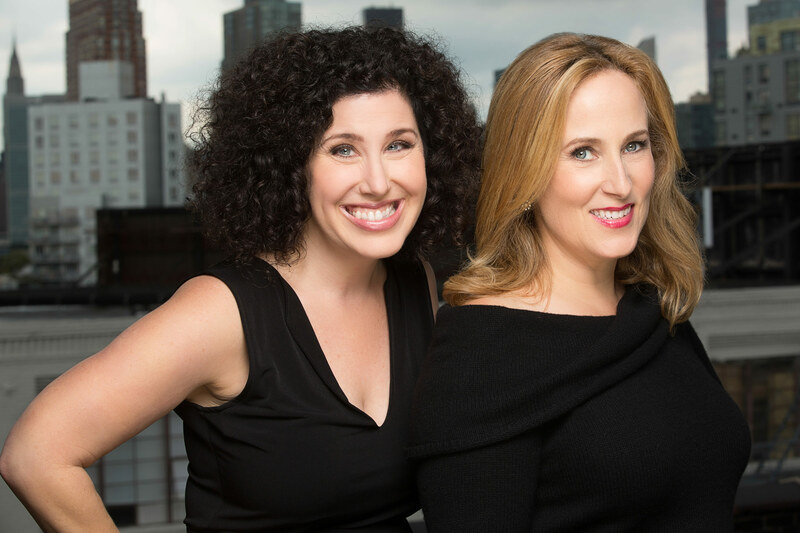 They were the first women ever honored with the Fred Ebb Award for Musical Theatre Songwriting, and Heisler was honored with the 2012 Kleban Prize for Outstanding Lyrics. Current projects include EVER AFTER, (Paper Mill Playhouse/NJ), Junie B’s Essential Survival Guide to School (Lucille Lortel, Off-Broadway), Hollywood Romance (Scott Sanders Productions) and a musical adaptation of a Universal Studios romantic classic (Universal Stage Productions). In 2012, Goodspeed Opera House premiered The Great American Mousical, based on the bestselling book by author/director Julie Andrews. In 2016, Goldrich and Heisler continued their collaboration with Andrews, contributing songs to her Netflix series Julie’s Green Room. They earned 2009 Drama Desk nominations for Outstanding Lyrics and Music for their musical Dear Edwina, a Lucille Lortel Award nomination for Theatreworks USA’s JUNIE B. JONES (based on the popular children’s book) and a Helen Hayes Award nomination for their Kennedy Center production of SNOW WHITE ROSE RED (and FRED). They have provided original songs for The Disney Channel, Disney Interactive and Feature Animation projects, Disney Theatricals, PBS, Nickelodeon, and others. As performers, they have toured domestically and internationally with The Marcy and Zina Show. November 2009 marked the release of MARCY AND ZINA: The Album on Yellow Sound Label. They are both active members of The Dramatist Guild, and have served as contributing writers to Dramatist magazine.